If you have any questions about this product by The PDI Professional Disposables Incorporated, contact us by completing and submitting the form below. If you are looking for a specif part number, please include it with your message. 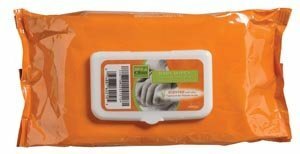 By Charmed FIR Mats by Sensible Decisions, Inc.
Performa Cold Pacs, Case of 12 Small, Reusable, Flexible Ice Packs, Professional Medical Refreezable Coldpacs for Cryotherapy After Surgery or Injury, Non Latex, Quarter Size 5.5" x 6.5"